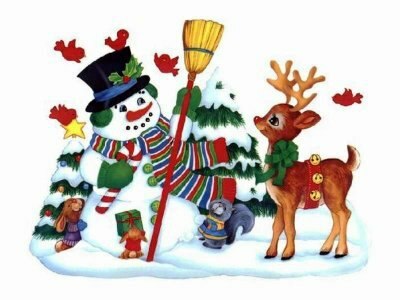 Hello, I hope that everyone is enjoying the Christmas season and looking forward to happy holidays! 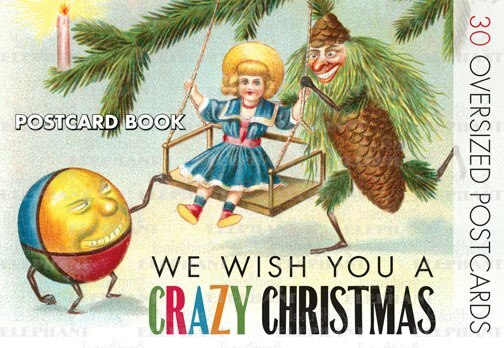 Yesterday while browsing online I found a very emmmm, interesting looking Christmas book, titled "We Wish You A Crazy Christmas" It is a postcard book of Victorian Christmas Cards (see my post from last December, I love Victorian Christmas Cards) I wish I'd discovered﻿ it a couple of weeks ago I would have bought it in time for Christmas. I shall definitely be buying it and will save it for next Chritmas! Ha ha! Here is a picture of the front cover! I can't wait to see the postcards inside. Pretty Crazy looking, I am desperate to see inside this book! Here are samples of typical Victorian Christmas cards. Well it is Christmas after all, the time to share. 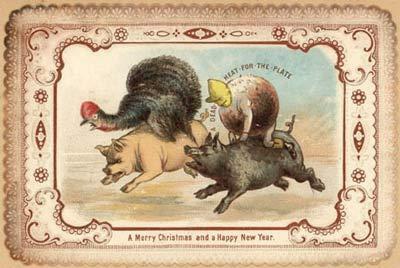 They get a lot stranger, just do an internet search for "Weird Victorian Christmas Cards" and see what you can find. 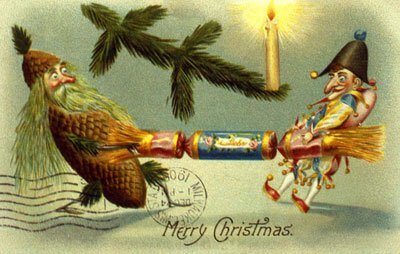 On that note, I'll finish this post and wish you all a MERRY CHRISTMAS!